Book your place and take part in the 5 week Boot Camp Course. Challenge your body with new and varied training methods / techniques. Please contact Craig to book your place. Bookings need to be made by Sunday 28th April. The AP Club is launching a ’30 Day Trial Membership throughout January 2013. The Membership can begin on any day during January and will last for 30 days from that day. The Membership costs just £20 and covers the use of all facilities within the Club. Come along, bring a friend and experience the professional, social environment of our Health & Fitness Facility. For a map showing our location and directions click here. 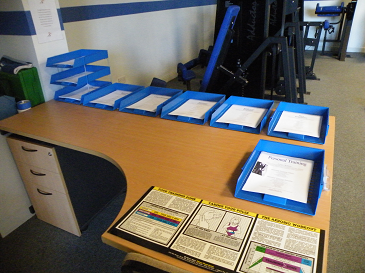 A new feature now available at the AP Sports and Fitness Club are our freely available Handy Training Plans from the Gym facility. 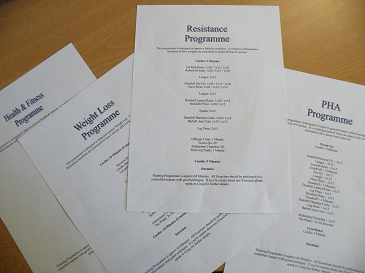 There are plans covering ‘Health & Fitness’, ‘Cardiovascular’, ‘Resistance’, ‘Weight Loss’, ‘PHA’. It’s important that within your training regime you follow a structured workout, specific to your goals. 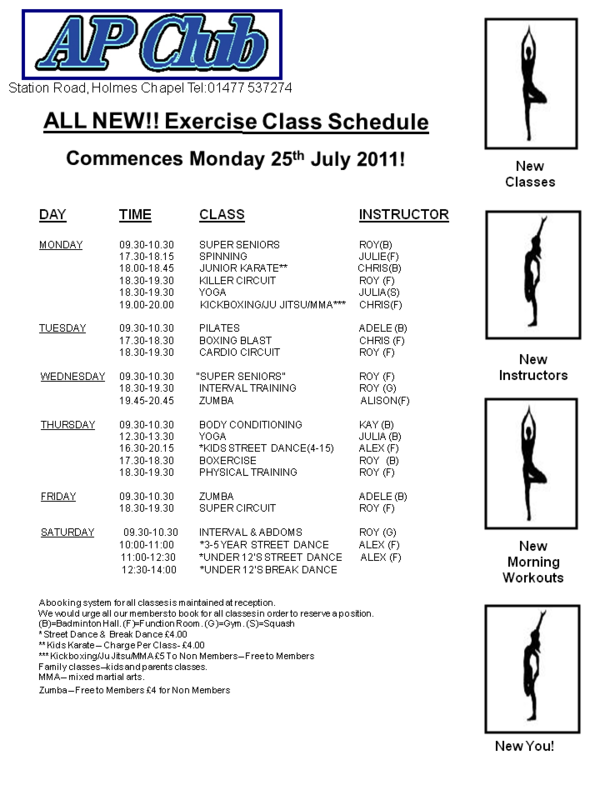 The new 2011 exercise classes time table is now here for The AP Club, available to everyone living in Holmes Chapel, Crewe and the surrounding area of south Cheshire and North Staffordshire. This is a short video introducing The AP Sports and Fitness Club. It’s meant to give you a brief visual impression of whats on offer at club. It also provides information of how to find out more.